A graceful and charismatic performer, Ingrid Fliter is known for her effortless technique and thoughtful, sensitive music-making; every performance is deeply personal and full of freshness and poetry, perfect for exploring Chopin�s masterful Nocturnes. Fliter included a tantalizing taster of this new album on her Preludes recording, adding Nocturnes op.9 no.3 and op.27 no.2 to round off the performance, which had several critics hungry for more. Her Preludes album was named �Recording of the Month� by Gramophone, which also named it among the top 10 Chopin performances ever recorded. On this new recital Fliter delights us with characteristically insightful interpretations which showcase both the sensitivity of her playing and the poetry of the composer�s music. Ingrid Fliter has established a reputation as a pre-eminent interpreter of Chopin: her recordings of the Preludes and two Piano Concertos attracted extensive critical acclaim. Winner of the Silver Medal in the 2000 International Chopin Piano Competition in Warsaw, Fliter was awarded the 2006 Gilmore Artist Award, one of only a handful of pianists to have received this honour. Fliter has appeared at Het Concertgebouw, Amsterdam, Suntory Hall, Tokyo, Wigmore Hall and Southbank Centre, London, Carnegie Hall and Metropolitan Museum, New York, K�lner Philharmonie and Gro�es Festspielhaus, Salzburg. Festival highlights include La Roque d�Anth�ron, the Valldemossa Chopin Festival and the BBC Proms. 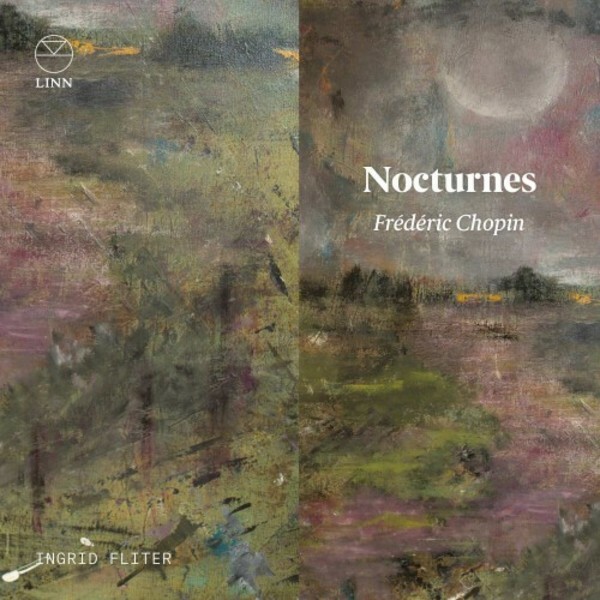 These Nocturnes rival the very best in the catalogue.